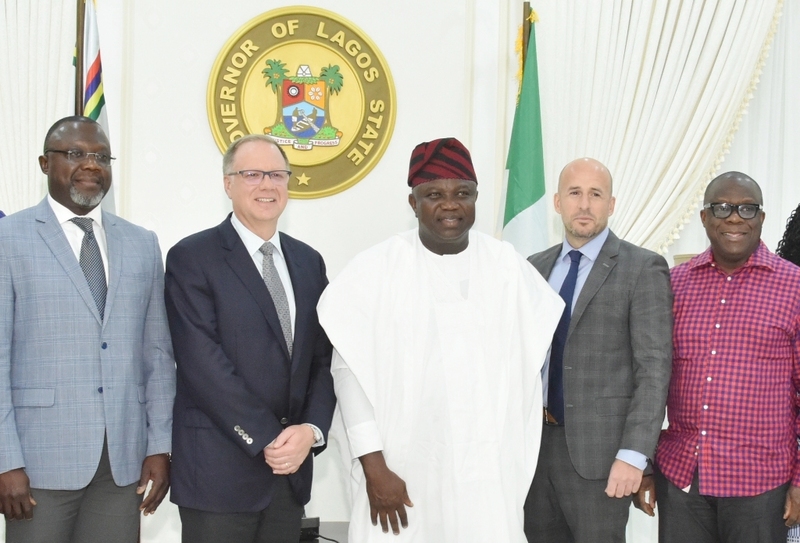 Lagos State Government, Mr Akinwunmi Ambode on Thursday lauded the Canadian government for donating bio safety laboratory worth $3.25million (about N951.3million) to the State Government, saying that the gesture deserved to be commended. Lagos State Governor, Mr. Akinwunmi Ambode (right), presents a souvenir to High Commissioner of Canada to Nigeria, Mr. Christopher Thornley during the Canadian High Commissioner’s courtesy visit at the Governor’s residence in Epe, on Thursday, January 25, 2018. Speaking at Epe while receiving the High Commissioner of Canada to Nigeria, Mr Christopher Thornley on a courtesy visit, the Governor also commended the Canadian government for partnering with the State Government in area of capacity building especially after the historic victory against Ebola outbreak in the State in 2014. 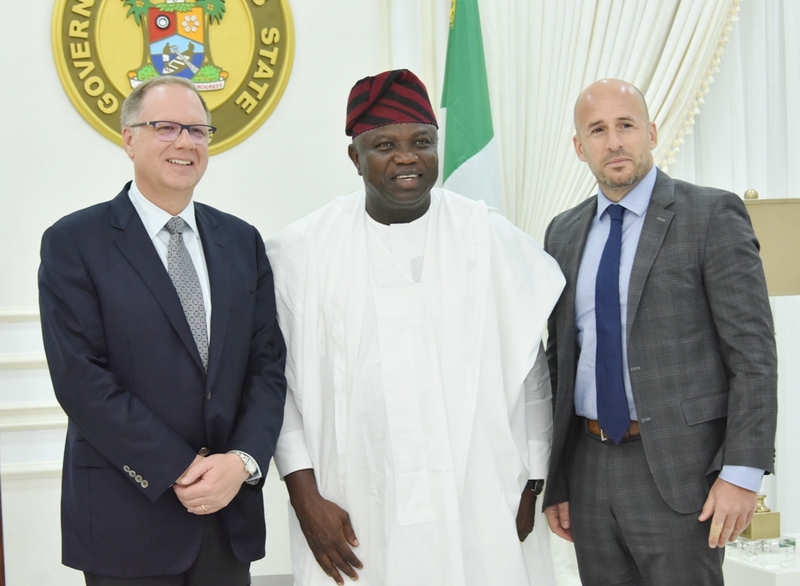 Lagos State Governor, Mr. Akinwunmi Ambode (middle), flanked by the High Commissioner of Canada to Nigeria, Mr. Christopher Thornley (left) and his Deputy, Mr. James Christoff (right) during the Canadian High Commissioner’s courtesy visit at the Governor’s residence in Epe, on Thursday, January 25, 2018. Lagos State Governor, Mr. Akinwunmi Ambode (middle); High Commissioner of Canada to Nigeria, Mr. Christopher Thornley (2nd left); Special Adviser to the Governor on Lagos Global, Prof. Ademola Abass (left); Deputy High Commissioner of Canada to Nigeria, Mr. James Christoff (2nd right) and Attorney General/Commissioner for Justice, Mr. Adeniji Kazeem (right) during the Canadian High Commissioner’s courtesy visit at the Governor’s residence in Epe, on Thursday, January 25, 2018. 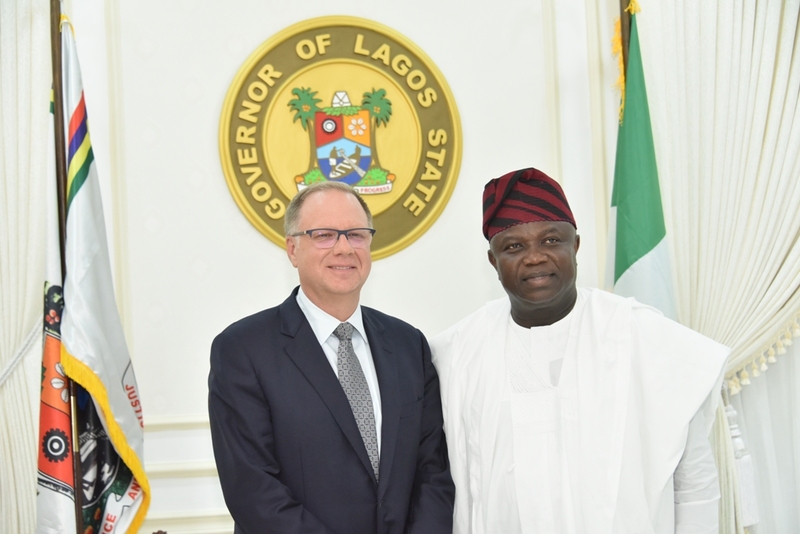 He said: “On behalf of the people of Lagos State, we like to say a big thank you to the Canadian government for being a very good partner to the course of Lagos State. People might not know but we need to say this clearly. Even though we came out of the Ebola crisis, ever since that success story, the Canadian government has decided to partner with Lagos State to donate to us a new laboratory that deals with bio safety and issues that relate to bio healthcare. “As we speak, in another few weeks, the Canadian government will be shipping in equipment for the laboratory at the cost of over $3.25m Canadian dollar. According to him, “We also know that there are whole lot of issues in the health sector and the Canadian government is willing to build capacity for us and with this partnership that we are having, this will extend to other areas and there are so much expertise that we can actually take away from Canada in terms of capacity building for PPP projects and also things that relate to transport. He assured that the State Government would continue to scale up issues relating to judicial and security sector reforms to ensure safety of lives and property and create an enabling environment for investors to come into Lagos which ultimately would bring about the growth of the economy. 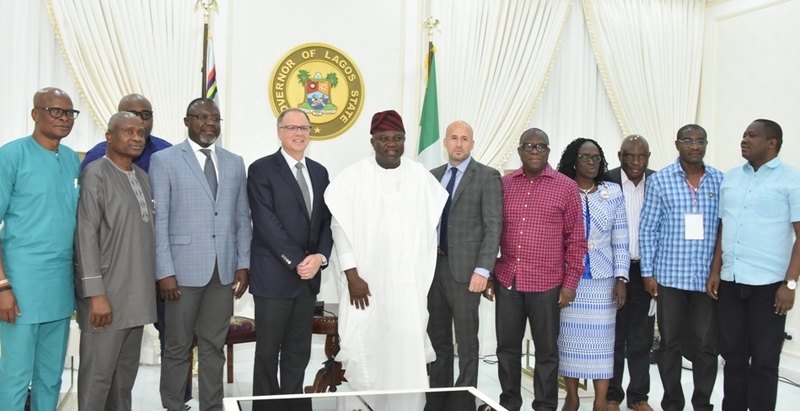 Besides, Governor Ambode said his administration would take advantage of the Canadian Trade Office situated in Lagos to scale up investment opportunities and ensure easier business relationship. Earlier, Thornley, who was accompanied by the Deputy High Commissioner in charge of Canadian Embassy in Lagos, Mr James Chrisoff, said the visit was to strengthen relationship between the Canadian government and Lagos State, especially to start dialogue on how to work together in key areas. He also commended Governor Ambode for the solid infrastructures put in place in Epe and other parts of Lagos.